For removal of solids a basket strainer is often the first stage in the cleaning process of a liquid or a gas. The basket strainer will retain the solids and allow only clean product to pass through. The larger items fall to the bottom of the basket strainer for later clean out. Basket strainers normally have an access that allows for them to be cleaned or have the basket replaced. 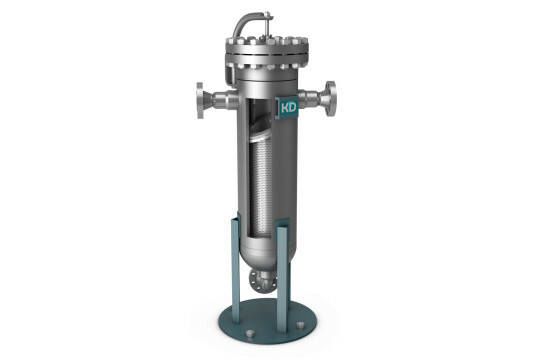 Selection of the correct media and vessel design the filter flow rate, dirt holding capacity, particle removal is important to design the correct basket strainer. Our basket strainers are available in different micron size. Recommended flow rate is based on specific application. Some reasons for using a Basket Stainer; Removing of solids that may damage the aesthetic appearance of the product. Removing solids that could affect chemical reaction of a product. Removing solids that could damage operation equipment. Removing solids that could affect a finished production item. Removing of solids that could affect the health of operating personnel.